Listed below are a few examples of valorisation, i.e., the utilisation of academic results in society or industry, to which our group has contributed. The manufacturing process of car body parts is a complex industrial process where many machine parameters and material properties influence the quality of the final product. 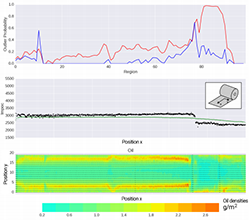 In the PROMIMOOC project, we have shown that anomaly detection, i.e., the automated detection of strong deviations, can help to provide early alerts to the operators of a production line when the material properties deviate from normal. To this end we developed, in collaboration with BMW Plant Regensburg, the new GLOSS algorithm. Our paper titled Towards Data Driven Process Control in Manufacturing Car Body Parts presents an overview of the application and implementation of the algorithm in the car body part press shop. Pump time prediction with Dropboard. Effective scheduling allows ship terminals to be more efficient, but it is typically unknown in advance how much time a ship needs for unloading and loading. As part of his Bachelor thesis, Kevin Oost showed that the use of historic data and machine learning can help to overcome the hard task of manually predicting processing times in liquid bulk terminals. 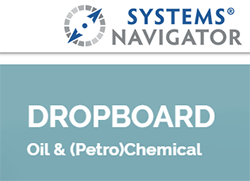 He performed this research while doing an internship at Systems Navigator, and as a result the company now offers predictive modelling in their Dropboard planning and scheduling system.